This week’s ears in the spotlight aren’t actually ears, they’re horns and they’re perfect for any Monsters Inc. fan. 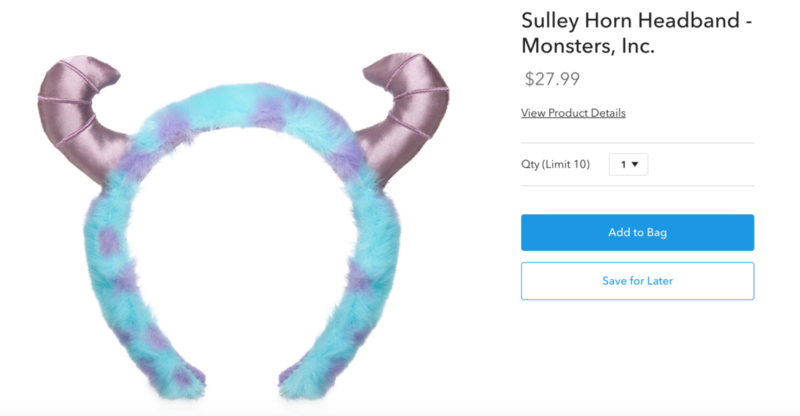 The Sulley Horns Headband was released a few weeks ago, but has only been made available for home delivery today. They look super cute and soft and I’m going to check them out in person next time I’m in the parks. The horns look like they are light purple, which matches with Sulley’s colors, and the material looks smooth. The horns are a cute feature on this headband and make them standout from the other ears headbands. 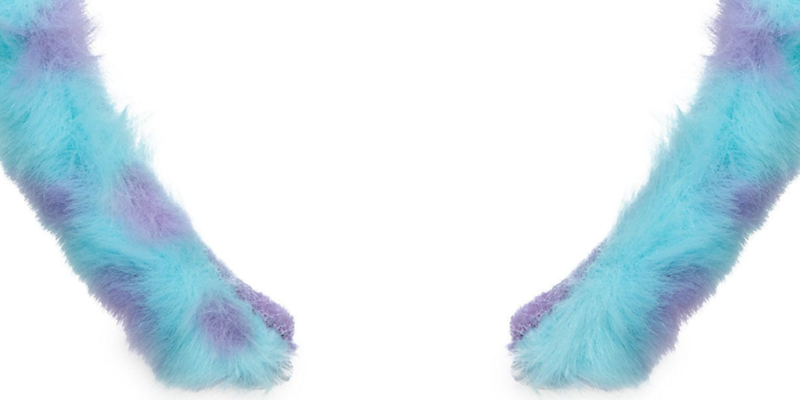 Fuzzy material covers the headband in patches of blue and purple, just like Sulley’s fur. The inside of the headband looks like it is covered in a soft material that you find on most of the headbands. The material on the inside is the same shade of purple to match the purple in the fur. This headband is a fun representation of everyone’s favorite gentle giant monster, Sulley. 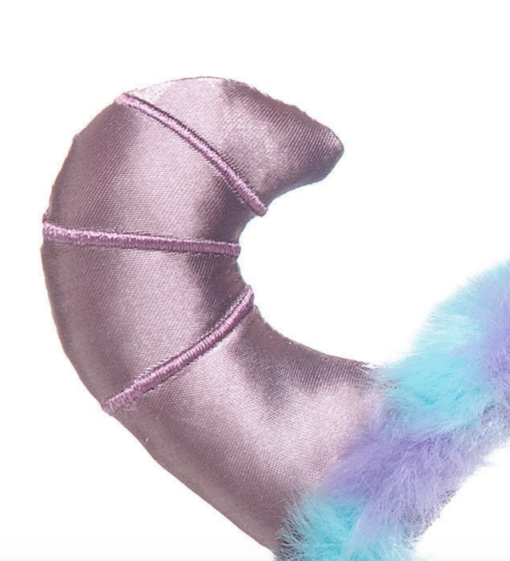 If you collect the headbands and/or you are a fan of Monsters Inc. then this headband is for you. I’m pretty sure this one will be making it’s way to my collection! As of right now, this headband is not available on the Shop Disney Parks app, but it can’t hurt to keep checking. Disney is always adding things to the app, so there is always a chance the headband will be added for home delivery at some point.